Hull# 5820+. A wing keel version was available, as was a tall rig. 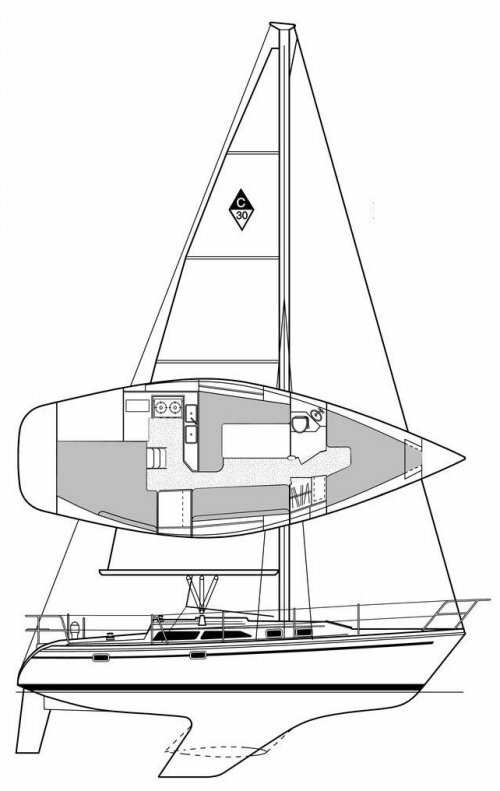 Wing keel draft: 1.17m 3.83'. Last Catalina 30 was built in 2008. Re-designed cockpit and open transom. Updated galley. Topside windows.